Send warmth and love to a friend this fall with our Cozy Box! 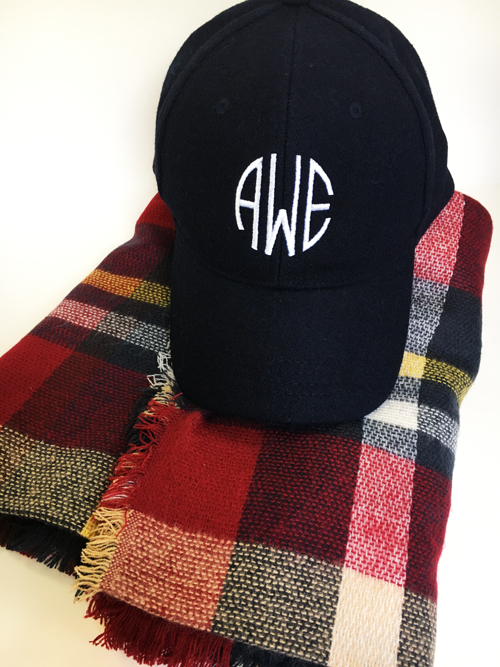 This box features a plaid blanket scarf, a wool blend monogrammed cap, Lindt chocolates, and our exclusive Things I Love About You card. You can personalize this Cozy Box below! Cap can be personalized as shown with monogram. Please provide your custom information below for the included card. You will receive a complimentary custom proof of your card within 24 hours of your order. You can count on multiple proofs, if necessary, to get the card just right. Once approved, your order will be in process! Please allow 10 days for production, plus shipping time. Please enter the recipient?s name first, and your name second. Please list in order 5 things you love about your recipient.